Take the time to browse our extensive gallery of projects. 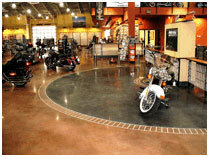 You will be amazed at the versatility of concrete flooring and polishing. © 2019 Preferred Concrete Polishing. All Rights Reserved.